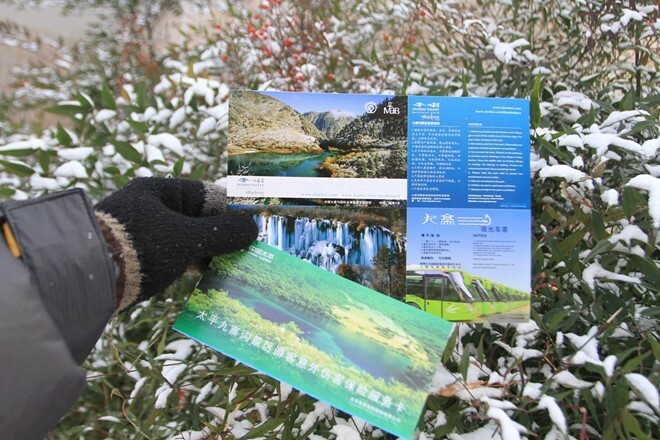 The tourists now are too familiar to the “paradise on earth” Jiuzhaigou, but just a few people get there in time when it is covered by snow, as my lucky trip. 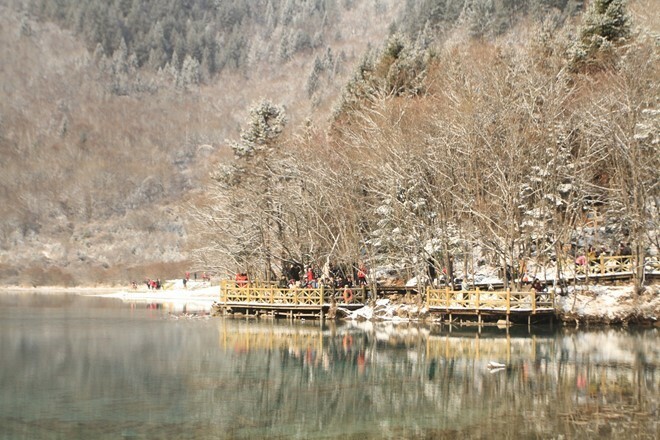 The “Paradise on earth” Jiuzhaigou of China is a destination that many young people who love travel have arrived. 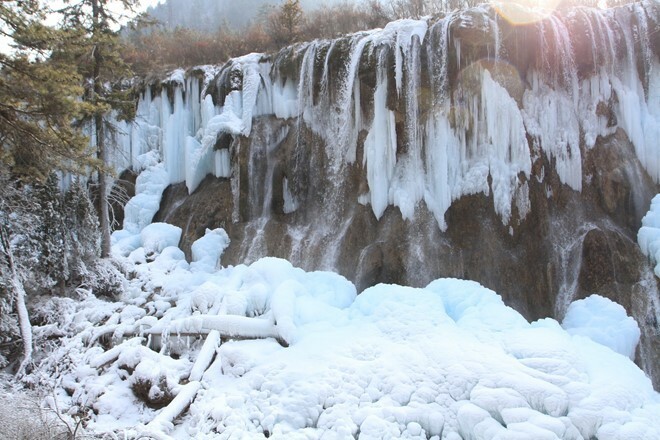 People often choose to go to Jiuzhaigou in the Autumn, in October and November. 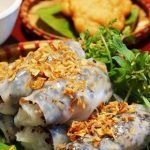 At that time, this place is the beautiful landscape with the trees, the forest, and the colorful lakes. This Natural Heritage Park have a true beauty that really hard to describe in words. 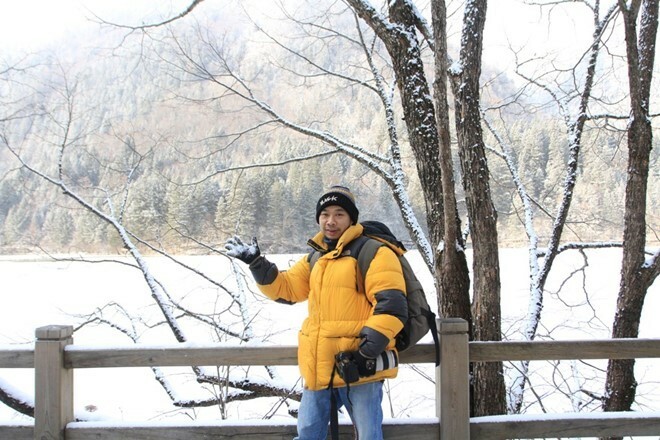 The moment I came here is early January, the winter in China. 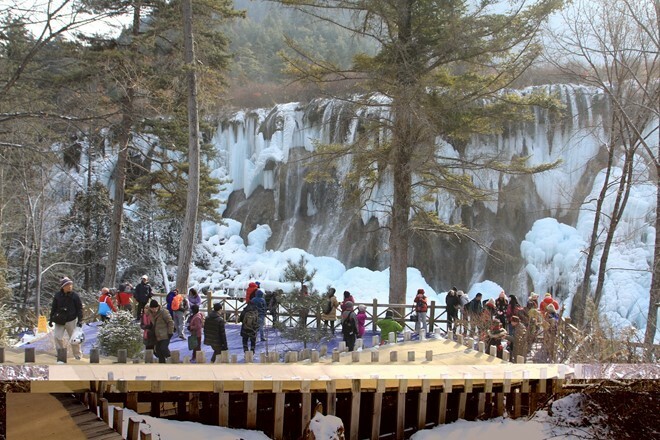 This was not the peak period tourism of Jiuzhaigou, so the place was pretty quiet. Hotels rooms were excess and didn’t need to make the reservation, and the prices were much lower. 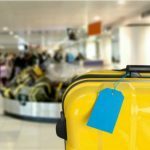 When I arrived, everything around was normal. But the next morning when I woke up, I realized it had had snow the night before. 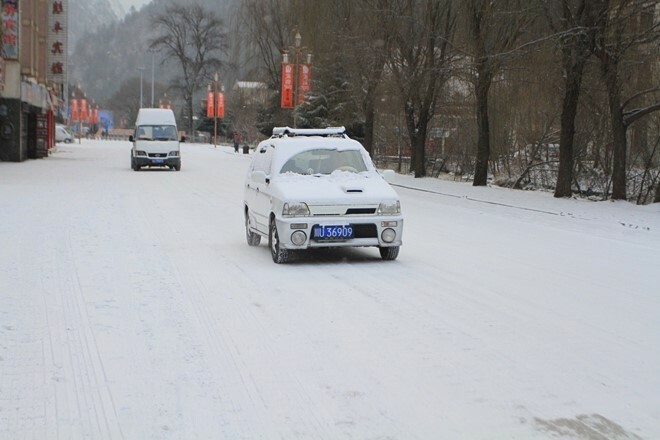 An overnight, suddenly the scene was different, all were submerged in the white snow. 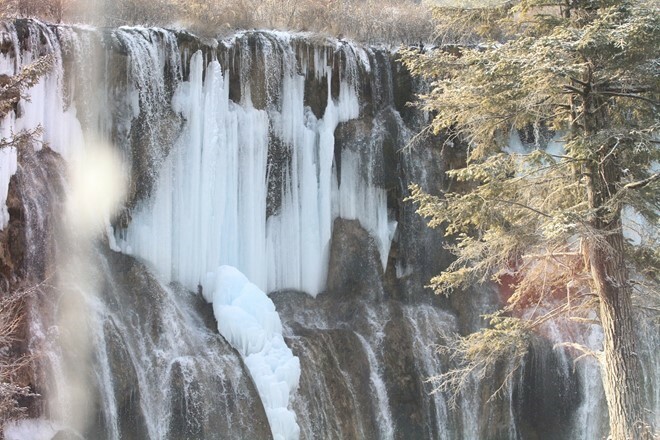 Snowfall in Jiuzhaigou is considered an “event”, and immediately a huge number of young Chinese begin coming here, much more crowded. 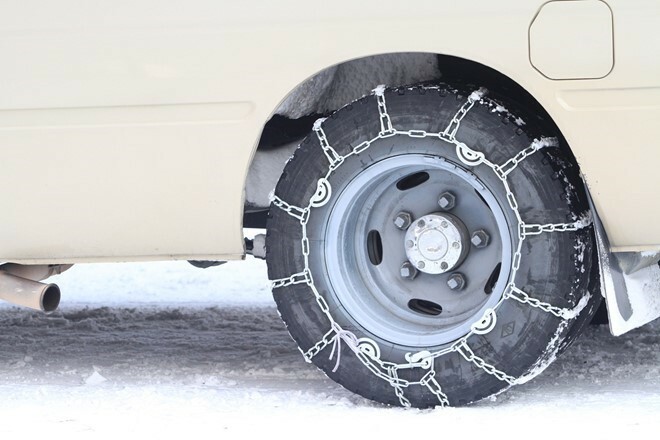 These tires are tied with the anti-slip leashes. When snowing, the lake was covered with ice, can walk on its surface. 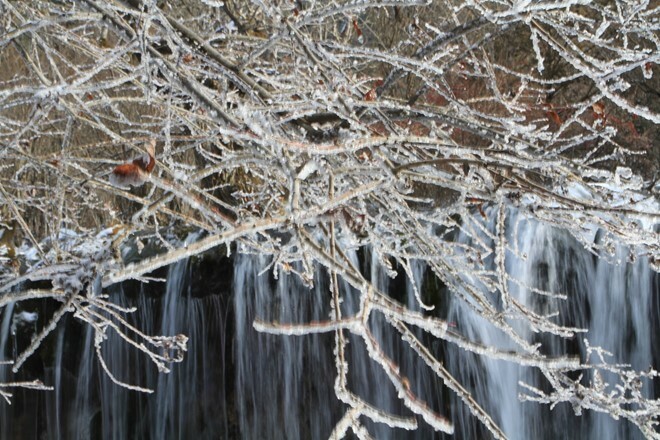 Even the waterfalls are also frozen, creating a wonderful scene. 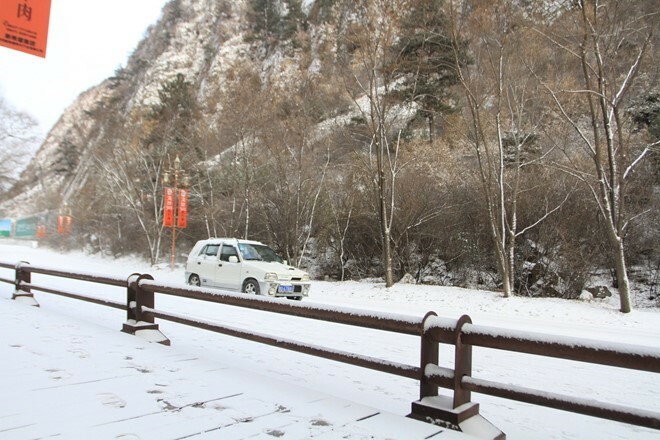 Snow cover in the trees, the foliage, and the whole forests, the scene of Jiuzhaigou will be completely different from the brilliant colors of its scene in autumn. The beauty which cannot be described in words. 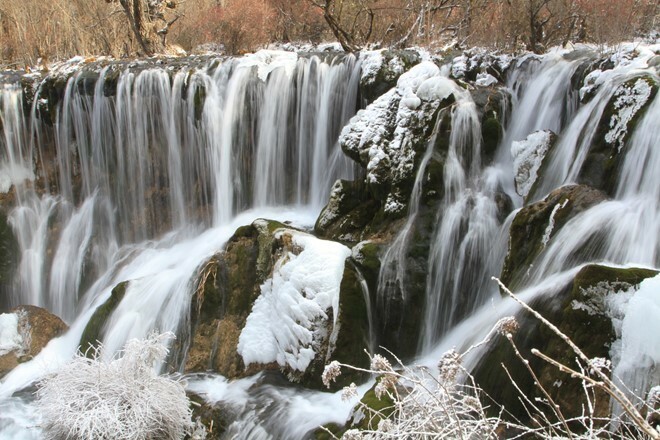 Try to go to Jiuzhaigou in late December or early January, maybe you will lucky like me, can admire the beautiful and unique snowfall scene, a moment in a lifetime you will never forget.